At Estia Health, we’re proud that each of our aged care homes uniquely represent the residents who choose us, the community that surrounds us and the people we work with. Join Estia Health and support our residents with continuing to live the life they love. We will support, nurture and develop your career in the growing aged care industry. 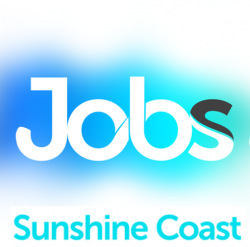 Estia Health Mt Coolum are looking for experienced Personal Care Assistants to join our team on a CASUAL basis. The successful applicants will work across a range of morning, afternoon and night shifts. Make a difference in the lives of our residents on a daily basis, ensuring well being and comfort. At Estia Health, our team takes great pride in providing our residents with a great experience whilst in our care. As an Assistant in Nursing at Estia Health, you will be responsible for delivering the best possible care and support in all areas of daily living to ensure our residents’ well being and comfort. At Estia Health, we love to see our team members grow with us. We encourage you to develop your skill and capability and have a range of structured clinical and professional development programs to help you grow your career. If you would like to know more, please call us on 07 5343 0200 or by emailing us at mtcoolum@estiahealth.com.au. If this sounds like the role for you, click on APPLY NOW!